I spent a lot of time researching baby carriers before Little Arrow was born. It was the one thing I wanted to splurge on (turns out some sneaky family members knew all about this and surprised me with my favorite choice, the Ergo Baby Carrier*). Expect to see lots of pictures of Little Arrow tucked inside in the months to come. I already put it to great use on our trip to the Christmas tree farm last week. While I was in the midst of my research, I happened upon this carrier during my trip to the Eiteljorg Museum. 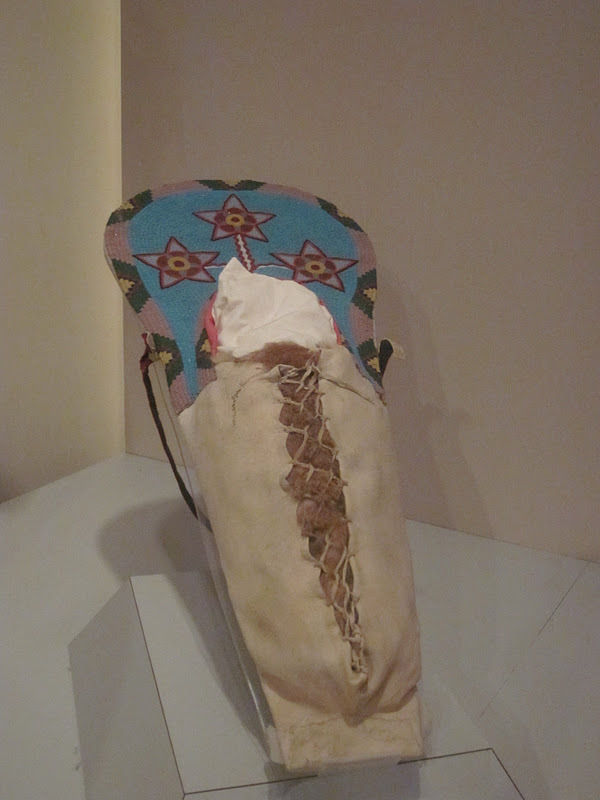 Apparently even Native American parents consider a good carrier essential baby travel equipment! You can read about my trip to the Eiteljorg Museum here, or see my guest post about the Eiteljorg at Midwest Guest here.